Description: GC, B, vC, iR, vvmbM, star 12. Material used: pastel pencils on black paper. Condition: NEML: 5’6 (Zone 11 Bootes). It seems to be in 3D… The heart of a cluster is pretty hard to figure. You did it perfectly. It looks better than a photo. Respect man! 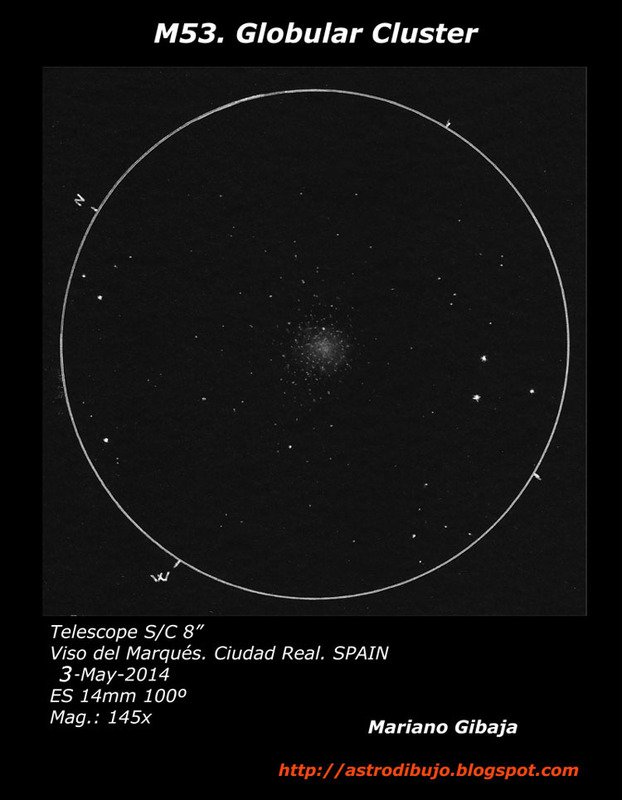 This is a stellar sketch of M53. Wonderful to look at. Jean-Marc, Frank, thank you very much for the comments.